I love lots of things. I love Taco Bell, IKEA, Swedish Fish, Wisconsin, VW’s, my wife, and traveling around the world. I understand that is a random list of things. How can a list of things that are so good be so bad? Everyday things that are good can be twisted towards evil, in turn, ruling my heart and distracting me from wholehearted worship towards God. John says, “Do not love the world or the things in the world.” [1 John 2:15] But then in another place John says, “For God so loved the world…” [John 3:16] and Jesus says, “As [God] sent Me into the world, so I have sent [believers] into the world.” [John 17:18] So on one hand, I am not supposed to love the world, but God loves the world. And on the other hand, I am not supposed to love things in the world, but Jesus sends His followers to live in the world. Okay, let’s decipher and answer: What is the world? 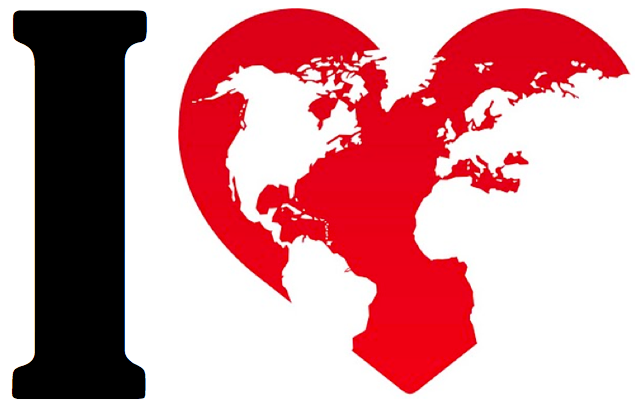 Should or shouldn’t I love the world? How can I love the world? I am going to begin with biblical worldview of the world. The gospel message sums up the biblical worldview of the world. The gospel is a belief that the Bible is absolutely true in that God is a loving Creator, and man has sinfully disobeyed God, therefore Jesus graciously and sacrificially died for man that they might respond to Christ’s forgiven and have a means to become right before God. In other words, since God is my Creator I am responsible to Him, but I have rebelled against His authority, therefore I need a Redeemer to restore me to a right relationship with God, so I must respond the gospel of Jesus Christ with wholehearted commitment. According to the gospel, God created the world and the world God created He created “good”. The “good news” does not begin with Jesus, it begins with the good world created by Jesus. The Bible says that God’s creation worships Him and honors Him as the Creator. However, the sinful fall of man has tainted the world. The Bible says that creation and humanity groan for the day when they will be recreated. The world I am called to love is the world God created, not the sinfully rebellious, self-centered, God-forsaken; independent-spirited that marks worldliness. How can I love the world without loving the world? First, love the world by enjoying the world God created. All of creation enjoys and worships God, so must I [Psalm 19:1-4]. God created the world for His glory. The created world does not just sit still in its place, it shouts out constant worship to its Creator. Creation worships a real and tangible Creator whose fingerprint is on that creation [Romans 1:19-20]. Not all created beings acknowledge God as Creator, rather they ignores Him [Romans 1:18] and worship the creature over the Creator [Romans 1:21-25]. God created the world as your home, a temporary home. The world is your temporary residence, not your eternal dwelling place. You are a temporary steward of the home God has given you. The Bible says in this present world you are strangers and aliens to this world [Hebrews 11:13]. You are homeless and God is calling you home. Your time here on earth is worship practice for what is to come afterwards. To a home that He will recreate [Revelation 21:14] not filled with worldliness. Second, love the world by serving of the world. In Genesis 1:28, God give you a creation mandate: care for creation as a royal steward [cf. Genesis 2:15]. As a dominioneer, you are charged to take care of everything God has created on earth, spread yourselves out in population, and spread the popularity of God’s fame through your obedience. You were made in the image of God to bear His name, to work, to rule, and to serve as God’s steward [Genesis 9:1]. Remember at the end of the Lord of the Rings: The Two Towers, when Sam was giving a speech to Frodo to continue on the journey of carrying the ring of burden? Sam: I know. It’s all wrong. By rights we shouldn’t even be here. But we are. It’s like in the great stories, Mr. Frodo; the ones that really mattered. Full of darkness and danger, they were. And sometimes you didn’t want to know the end… because how could the end be happy? How could the world go back to the way it was, when so much bad had happened? But in the end, it’s only a passing thing, this shadow. Even darkness must pass. A new day will come. And when the sun shines, it will shine out the clearer. Those were the stories that stayed with you, that meant something, even if you were too small to understand why. But I think, Mr. Frodo, I do understand. I know now. Folk in those stories had lots of chances of turning back, only they didn’t. They kept going… because they were holding on to something. What is good in this world? What in this world is worth fighting for? God. God is what this world is about. Your life now matters. Your work, family, sleep, and daily routine all matter. Every square inch of the earth you trod matters. Every second of life is significant. God rules it all. He owns it all. As Abraham Kuyper said, “There is not a square inch in the whole domain of our human existence over which Christ, who is Sovereign over all, does not cry: Mine!” God is supreme over every sphere you enter and roam. Third, love the world by shining the light to the darkened world. People tend to fight for the spotlight. We want the spot to shine on us. However, the gospel reminds us that we are not the central actors in this divine drama. It is not about me. My fame will fade. The story that matters, which all history focuses upon is: Jesus Christ. He is the Light of the world [John 8:12]. He is the primary light. We are just secondary reflectors of His light, like the sun and the moon. The best way you can love the world is to be an ambassador of the gospel to a darkened world. Shining His light into it through your words and deeds. The way you live, the way you work, and the way you talk all reflect on the God you love. Your first mandate was to subdue the earth [Genesis 1:28] and your final mandate is to make disciples of all peoples [Matthew 28:19-20]. Both mandates spread the fame of God’s name along the way putting the gospel on display. In conclusion, Should or shouldn’t I love the world? Yes and no. No, I should not love the things in the world that steal my affection for God and rob me of wholehearted worship. Yes, I should love the world God created. How can I love the world? I can love the world by enjoying God’s creation, ruling over His creation as a servant, and shine His light to the darkened world. Abraham Kuyper, Sphere Sovereignty. Eerdmans, Grand Rapids, MI. 1988. 488.